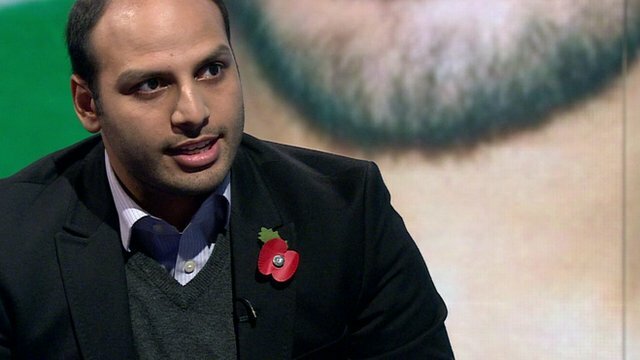 A British surgeon, imprisoned in Syria for over a year, has died in detention, his family has told the BBC. Dr Abbas Khan, a 32-year-old orthopaedic surgeon from Streatham, south London, travelled to the city of Aleppo last year to help civilians. His brother Afroze said the Syrian National Security Agency had promised his release this week but on Monday it said he had died. A Syrian government official said Dr Khan had committed suicide in his cell. The Foreign Office said it was “extremely concerned” by reports. An autopsy was under way which would be made available to the doctor’s family, the Syrian official said. ‘We are devastated’Mr Khan, 34, said: “My brother was going to be released at the end of the week. We were given assurance by the Syrian government. “My brother knew that. He was ready to come back home. The Syrian government confirmed that Dr Khan was due to be released on Friday and the decision to free him had involved the “highest authority”. A spokesperson for the Foreign Office said: “We are extremely concerned by reports that a British national has died in detention in Syria. They added: “We have consistently sought consular access to Dr Khan and information on his detention, directly and through the Russians, Czechs and others. “In November, Minister [Hugh] Robertson wrote making clear our concerns about his welfare and treatment, stressing that the regime’s failure to provide any information that would indicate Dr Khan’s continued detention is legitimate meant his position should be reviewed immediately. These requests have consistently been ignored. Torture claimsMr Khan said his brother was moved from a prison in Damascus to the National Security Agency’s headquarters. He said his mother Fatima, who has been in Damascus for the last four months, was told she could visit her son on Monday and when she arrived she was told he was dead. He said the family had no information about how he died. Dr Khan, a father-of-two, was arrested by government forces within 48 hours of arriving in Aleppo to work as an emergency surgeon. Earlier this year, his mother found him in a prison in Damascus weighing just five stone (32kg) and barely able to walk. He claimed he had been tortured while being detained without charge and held for much of the time on his own. Dr Khan’s former colleagues said they were “very saddened” to learn of his death. He worked as a specialist registrar in orthopaedic surgery at the Royal National Orthopaedic Hospital in Stanmore, north-west London, from September to October last year. Bradford West Respect MP George Galloway, who had been negotiating with the Syrian authorities to secure Dr Khan’s release, said he was due to fly to Damascus on Friday to bring him home. More than 1,000 people are believed to have died in the custody of the Syrian security forces since the start of the crisis in the country in March 2011, according to Amnesty International.